LAUSD Superintendent, Michelle King, Passes At 57; King is remembered by LAUSD and city officials for her commitment to youth and education. Los Angeles Unified School District flags were flown at half-staff until Wednesday in honor of former district superintendent, Michelle King, who passed away Saturday, February 2, at the age of 57, as announced by LAUSD Superintendent, Austin Beutner. King was the first Black woman hired as superintendent for the nation’s second-largest school district. As a veteran educator, King was committed to instruction and ensuring that all students had access to the tools they needed to prepare for college and career opportunities. She led a district-wide reform to increase graduation rates, particularly among traditionally under-represented populations. She also championed programs such as Restorative Justice, which aimed at keeping students in school and improving citizenship. She was a proud product of L.A. Unified, having attended Century Park and Windsor Hills elementary schools, Palms Junior High School and Palisades High School. King had a bachelor’s degree in biology from UCLA and a master’s degree in administration from Pepperdine University. She earned a doctorate from the USC Rossier School of Education recently. 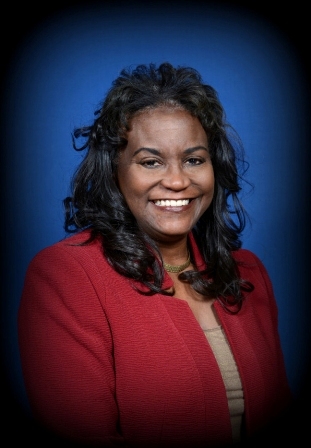 She dedicated her 30-year career to the students of L.A. Unified, having worked as a teacher, coordinator, assistant principal, principal, chief administrator of secondary instruction, local district superintendent, chief of staff to the superintendent, senior deputy superintendent and chief deputy superintendent. She was named “Woman of the Year” by the non-profit organization Women On Target, an advocacy group supporting leaders in Southern California’s African-American community in 2016. “She devoted her entire professional life to students in Los Angeles, and led our school district [LAUSD] with all of the passion, skill and determination that it takes to be a powerful fighter for young people and their dreams,” stated Los Angeles Mayor, Eric Garcetti. “As a Los Angeles Unified graduate, parent, life-long educator, and the first African American woman to lead the district, Dr. King was truly an inspiration. “She was a collaborative and innovative leader who broke down barriers to create more equitable opportunities for every student. “Her warmth, love and generosity transformed countless lives and left a legacy that will continue to impact us for generations. “We offer our heartfelt condolences to Dr. King’s daughters, parents and brother, as well as all of her family and friends whose lives she so deeply and positively touched,” stated LAUSD officials. King had been on medical leave since September 2018, when she announced she was being treated for cancer, stating she would retire by June 30 without returning to her job. It wasn’t specified the type of cancer for which she is being treated. “Michelle’s extraordinary achievements — record graduation rates, putting higher education within reach for all families, and creating new opportunities for our kids to be on pathways to careers — should inspire each one of us to be part of the mission to make L.A.’s schools the best in America,” stated Garcetti. “Having known her for many years as a colleague and friend, I had never known her to not be present or to refuse a difficult assignment,” said McKenna. “Her illness and premature resignation was a shock to all of us, but foretold the severity of her medical condition. During the annual Martin Luther King Day parade, she walked the entire length of the route along with the District’s all-star marching band. Her energy was boundless as she always arrived early and stayed late. As of press time, no funeral arrangements have been announced.